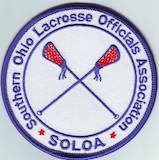 A lacrosse field is 110 yards long and can be from 53 1/3 to 60 yards wide. The goals are 80 yards apart with a playing area of 15 yards behind each goal. The length of the field is divided in half by a center line. 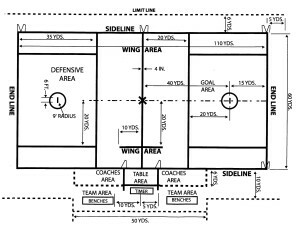 An 18 ft. diameter circle is drawn around each goal and is known as the “crease.” A rectangle, 35 yards by 40 yards surrounds each goal area and is known as the “goal area.” An “X” is marked in the center of the field. 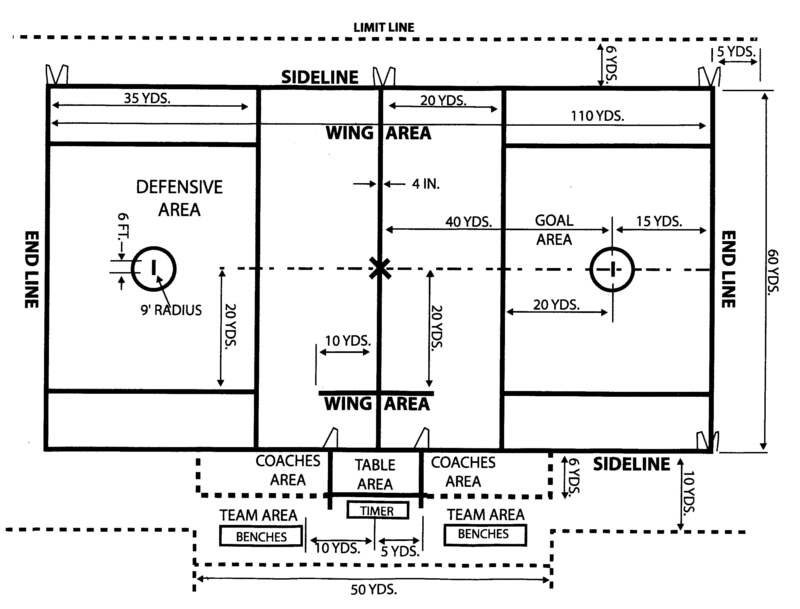 There is a special substitution area on the sideline, next to the timers table. New Uniforms required for 2018. Honig’s is offering a 15% discount on the 2.5” striped shirt!